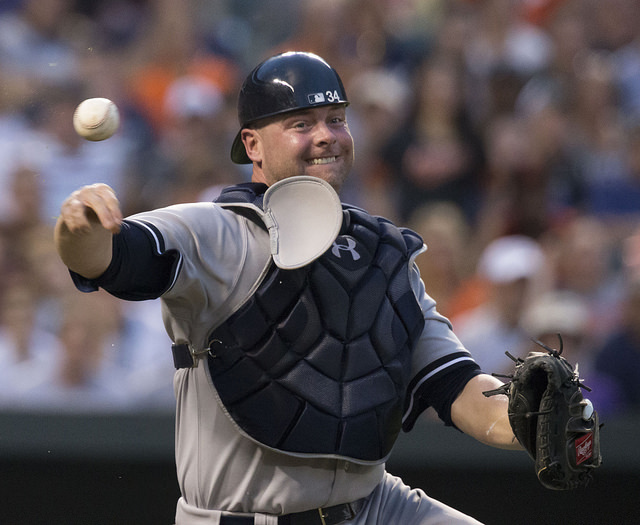 Christopher Carelli: Has Brian McCann fulfilled Yankees’ expectations? Has Brian McCann fulfilled Yankees’ expectations? 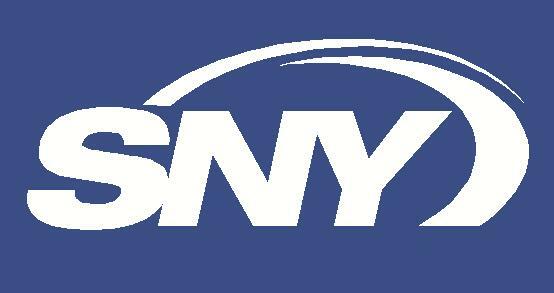 After the New York Yankees turned to a defense-first offering behind the plate for the 2013 season, they decided it was best to sign an offensive catcher who could still make a difference behind the dish. The Yanks inked Brian McCann, then a longtime backstop for the Atlanta Braves, to a five-year, $85 million contract before the 2014 season. Like many players before him in their first season in the Bronx, McCann took a bit of time to get used to his surroundings. He also found it more difficult to learn a new pitching staff than he expected and his offense seemed to pay the price for it. Until September 2014, McCann was mostly unproductive with a bat in his hands, but over the season’s final month he unleashed an impressive showing (eight home runs and 18 RBIs). McCann’s final 2014 numbers were decent – .232/.286/.406 with 23 home runs and 75 RBIs. But, mostly the Yankees were pleased with his work behind the plate in 2014 (11.4 runs above average via pitch-framing metrics via StatCorner and 37 percent caught stealing rate), and optimistic that his offensive prowess would return after what he showed at the end of the season. Expectations in 2015 were higher for McCann from an offensive standpoint, while consistency was anticipated while donning the tools of ignorance. McCann answered the call through the first three months of the season (he owned an .808 OPS through the end of June). McCann endured a mediocre July (.701 OPS) and then exploded in August with seven home runs and 22 RBIs (.878 OPS). But, McCann, like much of the rest of the Yankees offense, crawled into a shell from Sept. 1 through the end of the season (.580 OPS). McCann’s seasonal slash line was .232/.320/.437 with a career-high 26 home runs and his 94 RBIs tied his career-best. The 2015 season (105 wRC+) was surely better at the plate than 2014 (93 wRC+), but many were left to wonder much better it might have been had it not been for the terrible finish. Some of the blame for McCann’s faltering could be placed on a bum knee which was forcing him to alter his batting stance. He never seemed to be fully comfortable over the last 30+ games, and with the Yankees in the hunt for a postseason berth, McCann was in the lineup as often as possible. Behind the plate, McCann fell back dramatically as a pitch-framer from his previous seasons. McCann had always been a top pitch-framer according to StatCorner, but he dropped well behind the pack in 2015. He actually cost the team runs this season versus gaining them as was a certainty in years past. However, McCann outpaced the league's catchers in throwing out potential base-stealers , for the second straight season, stopping 36 percent of attempts (four points better than league average). Overall, McCann had a better season in 2015, based on WAR metrics provided by FanGraphs. His offensive numbers boosted the diminished defensive side (which was the contrary in 2014) lifting his fWAR to 2.9 from 2.4 a season-ago and his best mark since 2011. Looking at his performance value (at left), McCann has surpassed his contracted salary in each season. The Yankees will be grateful for at least a couple of more seasons like the first two with McCann on the books through 2018. What’s at question, is whether he’ll be able to maintain similar production going forward, and moreover whether he can stay at the catcher position through his age-35 season, the last of the guaranteed contract (there is a club option for $15 million in 2019, or a player option which kicks in with certain performance measures). McCann has been predominantly healthy during his two-year stint with the Yankees (averaging 537 plate appearances and 138 games, 117 as a catcher), but one must wonder if the club will begin to slowly take away more at-bats from him and give backup catcher John Ryan Murphy those reps. Keeping McCann as fresh as possible will provide benefits to the team in the long term and furthermore the Yanks do not lose offensive or defensive production with Murphy behind the dish, especially if he’s facing left-handers a majority of the time. The problem is, the designated hitter role is clogged with Alex Rodriguez, and the Yanks will try to get Mark Teixeira and maybe even Carlos Beltran some days at DH during the season. Worse, Rodriguez is under contract through the 2017 season, so the chances of McCann halving time as the DH and as catcher do not seem plausible until 2018, and by then who knows what the rest of the roster looks like. After watching McCann these first two seasons in New York, I’ve come away feeling confident about his overall abilities. I believe if he can continue to get 500+ plate appearances, he’ll remain a solid offensive force in the middle of the Yankees lineup. Further, I would hazard a guess that McCann will continue to hone his skills behind the plate, and likely work hard to find whatever was missing from his pitch-framing abilities going forward. McCann is one of the more important cogs to the Yankees’ machine and I feel the club should be pleased with his performance to date. When all is said and done, I suspect McCann will have surpassed the lofty expectations brought on by his large contract.